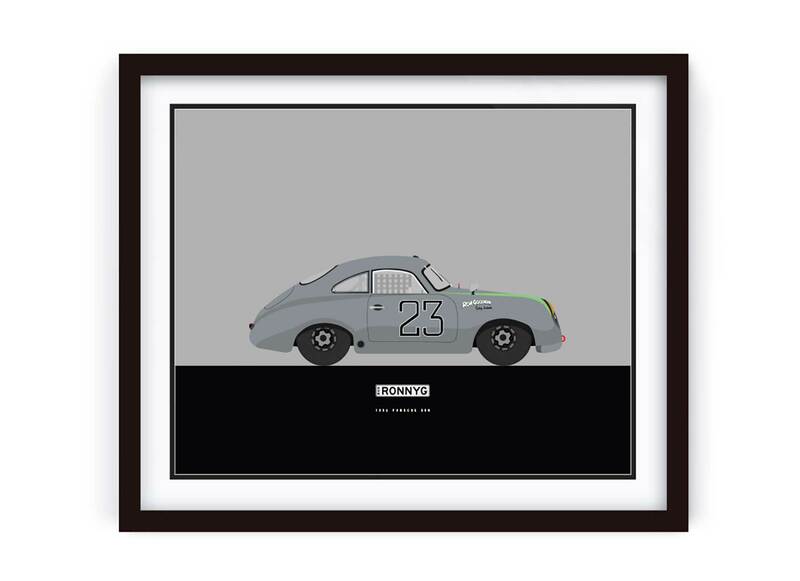 A couple of weeks back I was approached to do a set of 3 illustrations of classic sports cars at a fixed price. The direction was specific about the view being straight ahead from the front of the car. The end goal was that these were going to be used in a printed calendar, and after the first 3, I’d get 9 more to work on. Unfortunately, I fell victim to the bait and switch tactic or would you rather do these on spec, or for free, for a ton of exposure, and a possible cut of the profits. The thing is I don’t work for free, and unfortunately, the client’s proposal left me flat. So, I decided to say thanks but no thanks, keep my files and go back to my office. The thing is though, it got me all inspired, so I did 12 more over the course of a couple weeks, and shared a few on social media. Now, I’m releasing them to the world. I really don’t have any interest in making money off of these. It was a fun little exercise with Adobe Illustrator that I feel good about. Each image is sized for the iPhone 6 screen resolution. All I ask is if you download them and use them, give credit where credit is due. Let people know I am the guy that made these. Don’t resell them to make money and don’t take my name off of them. Tell people where you got them, and ask them to respect the same request about selling and credit. Posted in Automobiles, Design and Art, Illustration and tagged Ado, Adobe Illustrator, Alfa Romeo, Audi, AUtomobile, BMW, Chevy, Datsun, Digital drawing, Dodge, Ferrari, Ford, Illustration, Maserati, Porsche, Sports Car on February 18, 2016 by Author. As someone who’s formal eduction, training and work experience is in the filed of art and graphic design, I have a profound appreciation for the work of 1-of-1. The posters shown below have a flattened refined look that will stand the test of time. 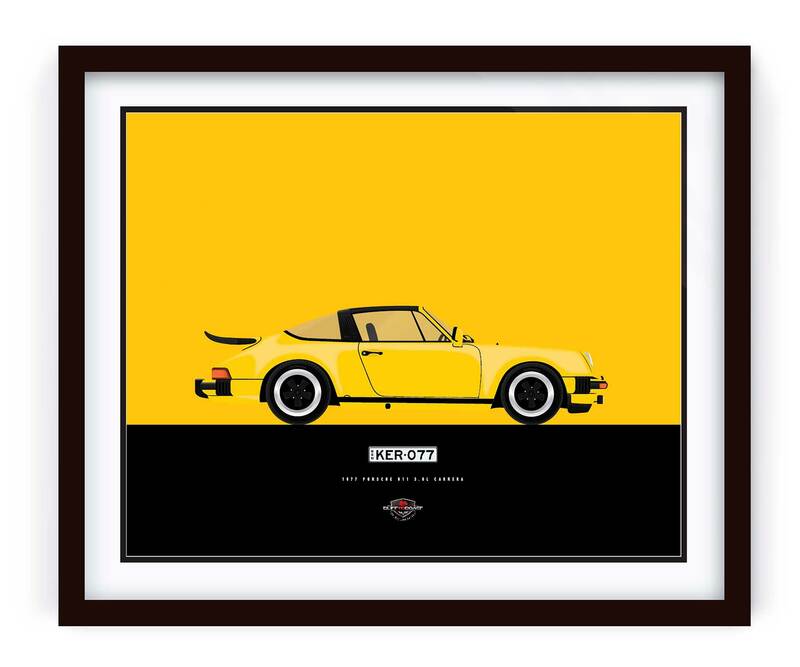 The visual simplicity highlights the car’s silhouette . There is just enough detail to keep things visually interesting without detracting from the aesthetic of the automobile, or the overall visual design. Limited color pallets and flat graphics help to enhance the overall feel of the posters themselves. The designer has worked closely with each client to capture personal details that really make each print one of a kind. 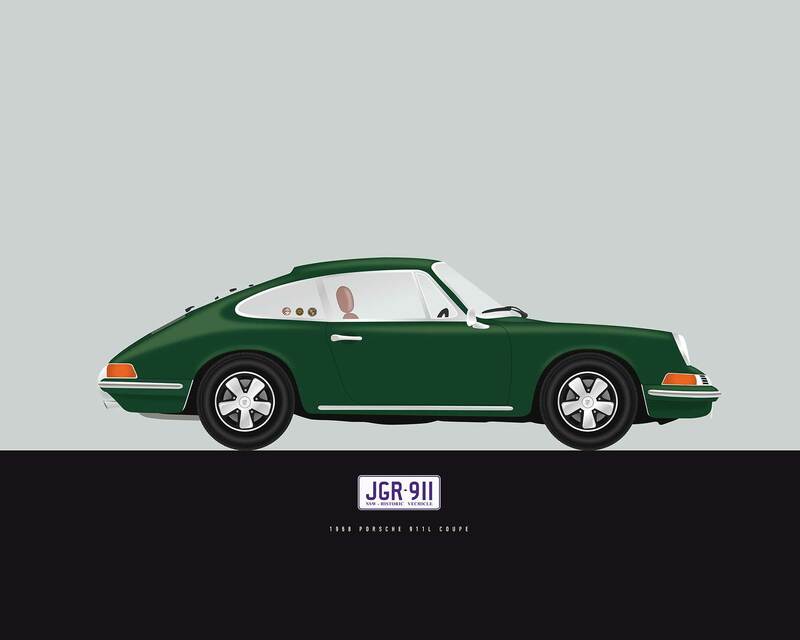 1-of-1 is the brain child of Australian designer Steve Schenko and it grew out of the creation of a one off print of one of his advertising clients Porsche 911 GT3. That single poster caught the eye of a number of automotive enthusiasts and the rest is history. Well history in the making since he is just starting out. Right now Schenko is open to taking commissions on poster designs for your personal automotive or motorcycle baby. The posters are one of a kind images printed on 310GSM artist stock paper, and signed by the artist. 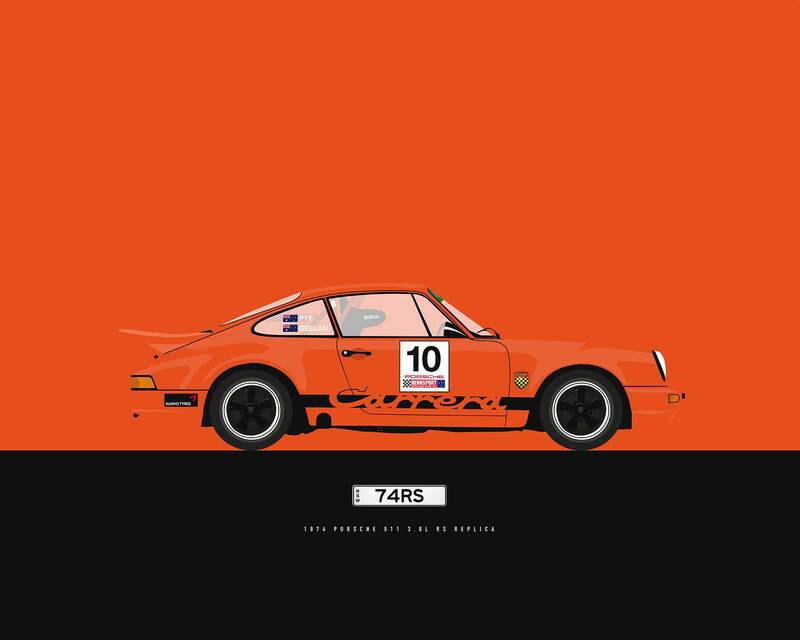 Posted in Design and Art and tagged 1 Off, AUtomobile, Design, Graphic Design, Illustration, Porsche, Print, Printing, Steve Schenko on February 25, 2015 by Author. With China rapidly becoming the worlds largest purchaser of automobiles, Porsche could have done a hard sell campaign to move their high end sports cars. 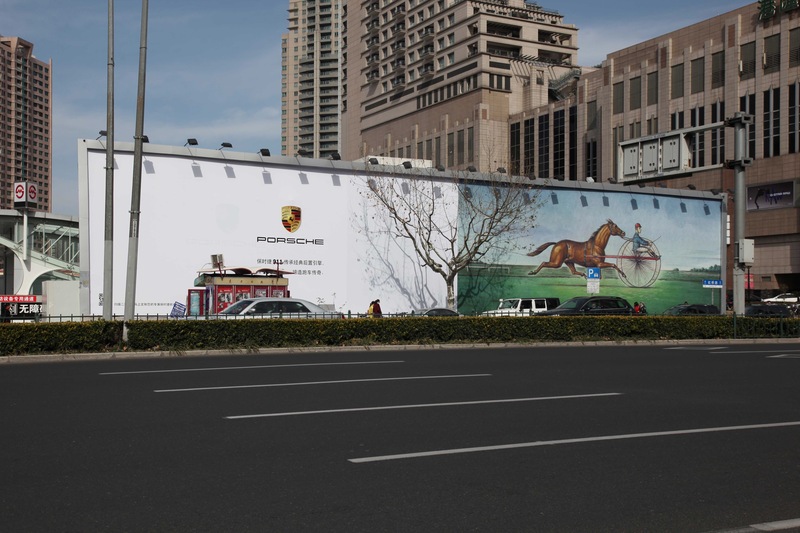 Instead they drafted the services of Fred & Farid Shanghai to create a clever subtle message about the Porsche 911’s rear engine configuration. The Rear Horsepower campaign featured classic paintings and photographs of Sulky racers with the horse behind the carriage. 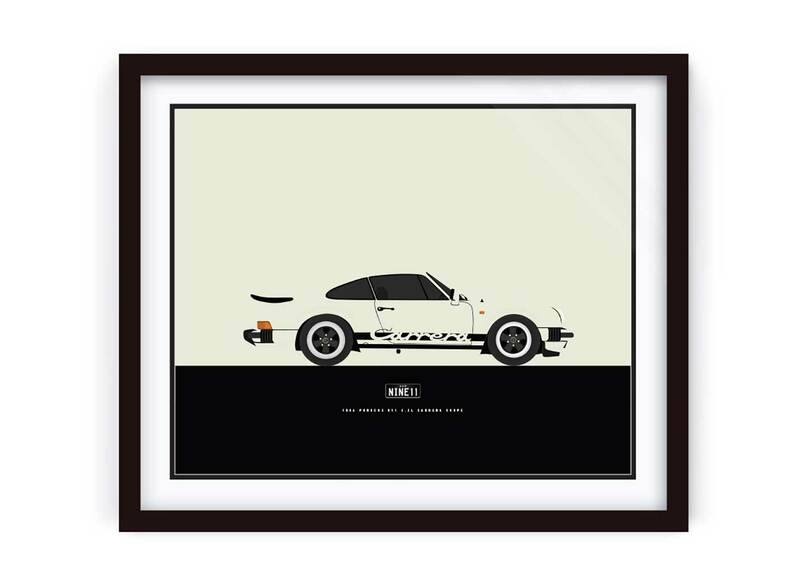 It’s a clever visual play, paired with a minimal amount of copy and the Porsche logo. The campaign was presented as 4 print ads that were paired to an outdoor campaign as well. Using horse imagery was a purposeful choice that Fred & Farid made to tie into 2014 being the Chinese Year of the Horse. 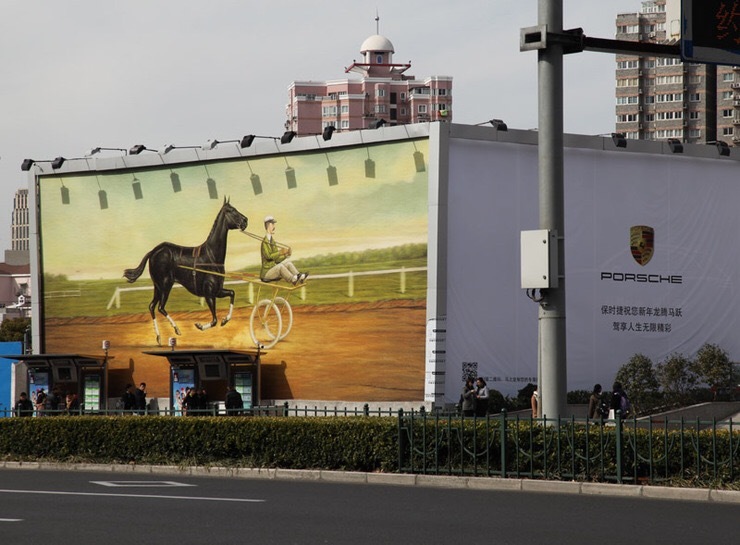 Posted in Advertising and tagged Advertising, China, Fred & Farid, Horse Racing, Porsche, Porsche 911, Rear Engine, Sulky, Year of the Horse on January 24, 2015 by Author. The world of photography has changed so much in the last 20 years. Even the last 5 have seen some very radical shifts in the way photographers shoot, edit, and post process their images. One thing remains constant though, good photography is not about the technology and software, it’s about the person behind the camera. When the two are combined, you get masterful results. Photographer Frederic Schlosser was given the assignment of shooting the very famous Falken Porsche 911 for an upcoming ad campaign. The client wanted the car to look as though it was moving very fast. They also wanted it shot in a rather edgy environment, with very tight, limited driving spaces. In order to achieve a really sense of movement, Schlosser turned to Virtual Rig software to help create the final images. The video below is a behind the scenes short of the photo shoot. The link above will take you to Schlosser’s website where you can see all of the final images. 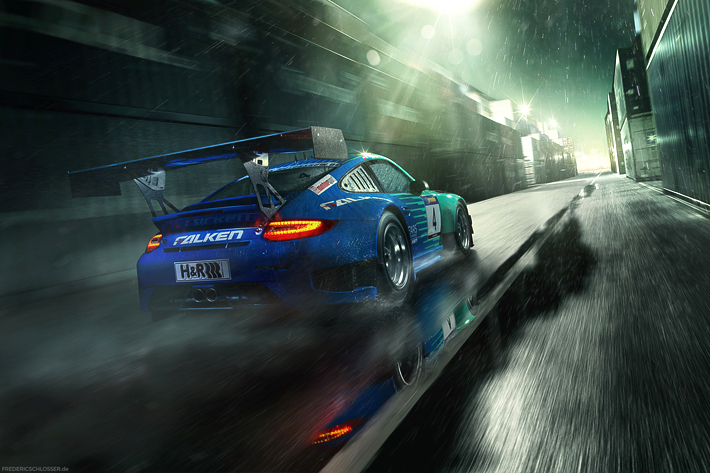 Posted in Automobiles, photography and tagged Falken Porsche 911, Frederic Schlosser, Photographic Technique, photography, Photoshop, Porsche, Porsche 911, Post Production, Virtual Rig on December 2, 2013 by Author. Faster, Farther, Porsche by Design: Seducing Speed. 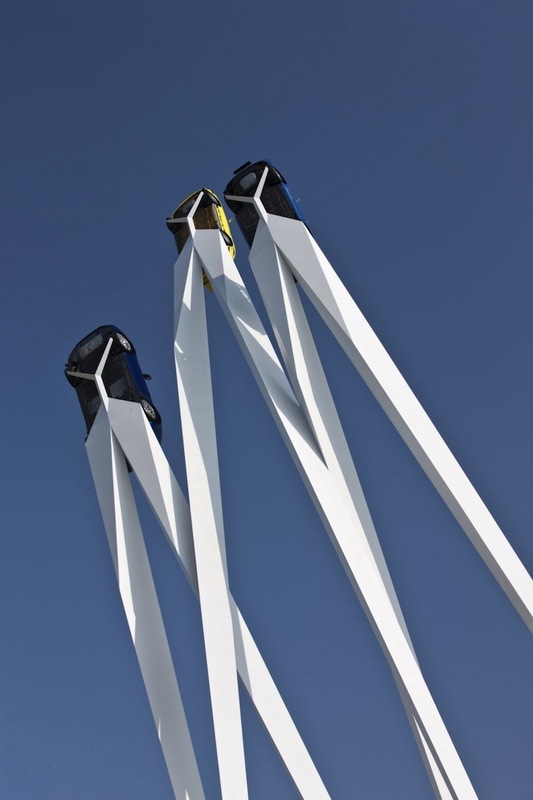 If you happen to be in North Carolina any time between October 12, 2013–January 20, 2014, you might wan to take some time and go to Porsche by Design: Seducing Speed at the North Carolina Museum of Art. 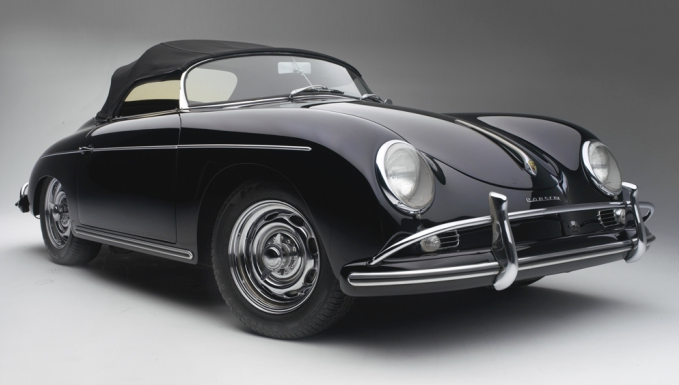 The exhibit will feature more than 20 Porsche automobiles from the collections of or owned by Ralph Lauren, Steve McQueen, and Janis Joplin. 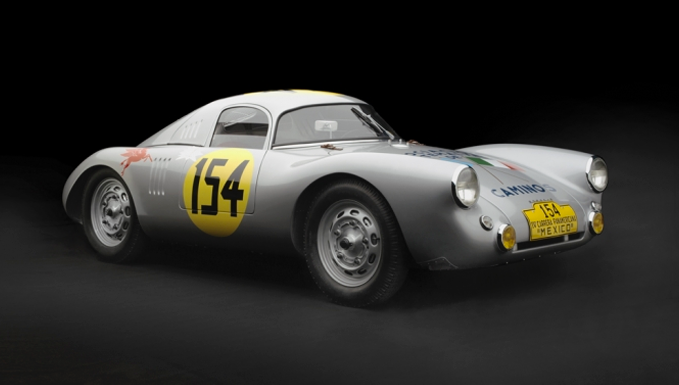 In addition they are displaying a one-of-a-kind Panamericana concept, and the 1989 16 cylinder 917 Spyder Prototype; which like the Panamericana is on loan fromt he Porsche museum in Stuttgart, Germany. 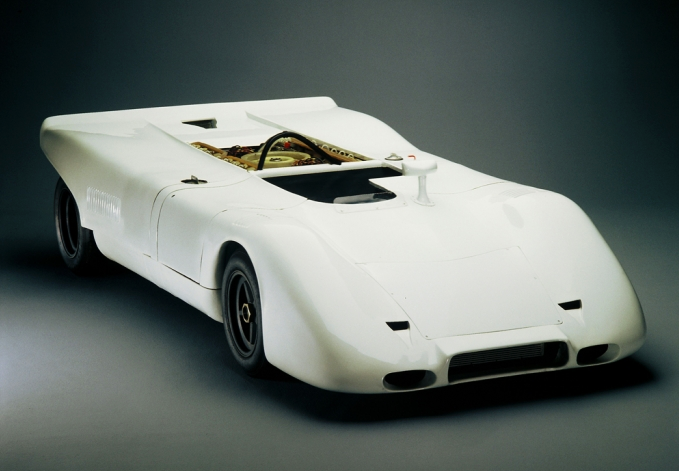 Posted in Automobiles, Design and Art and tagged Automotive Design, Janis Joplin, NCMA, North Carolina Museum of Art, Porsche, Porsche 917, Porsche Design, Porsche Racing, Ralph Lauren, Steve McQueen on July 24, 2013 by Author. 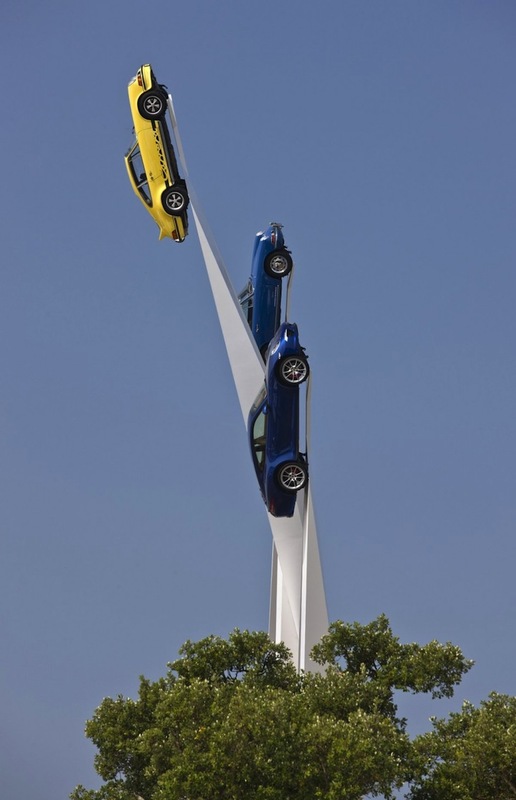 Amazing Flying Porsche 911’s by Gerry Judah. I hope this stays at Goodwood in the UK. I’d love to see it in person some day. 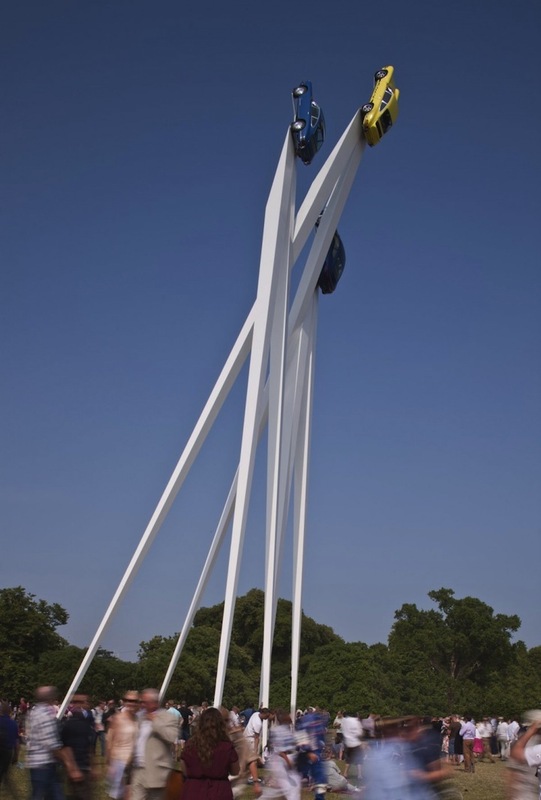 Porsche 2013 by artist and designer Gerry Judah is a 22 ton steel and real Porsche sculpture that was commissioned by Porsche UK for the 50th anniversary of the 911 and the Goodwood Festival of Speed. 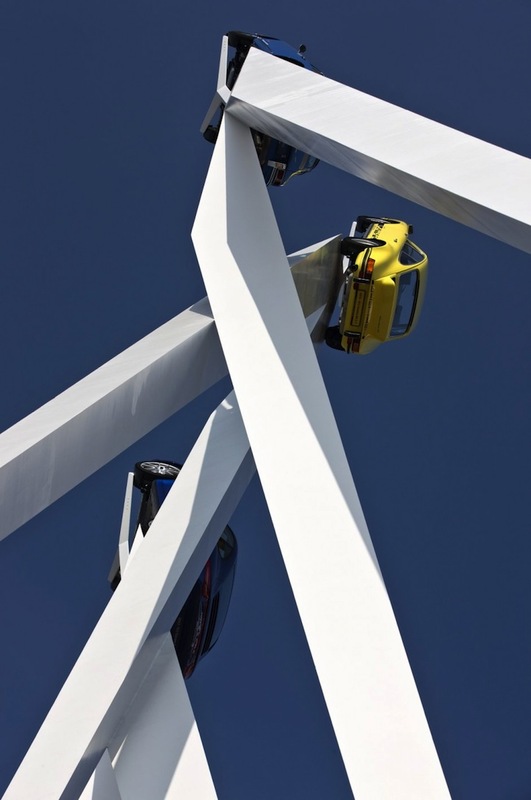 The sculpture features three different models of the Porsche 911: the 1963 Original 911; the 1973 911 Carrera RS 2.7; and the 2013 911. The photos look pretty amazing so I imagine in person this will knock your socks off. Even if you aren’t into motor sports or automobiles you have to admit this is pretty impressive. 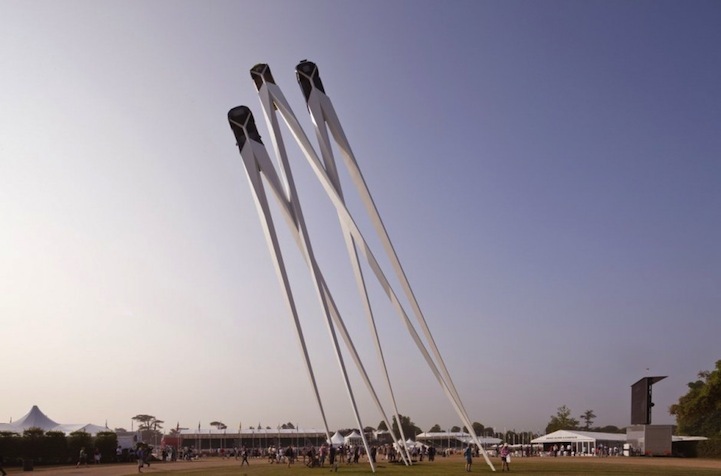 The white arrows that suspend the cars above the ground look like jet contrails as these classic cars jet off into the sky. 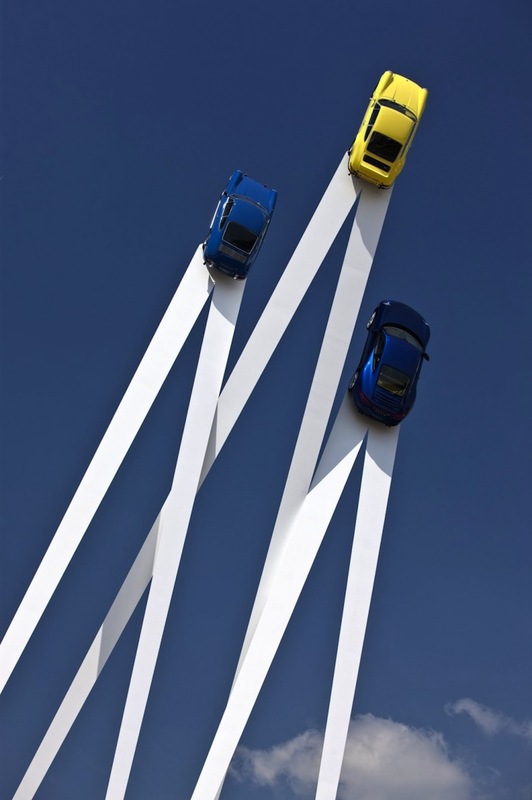 Posted in Automobiles, Design and Art and tagged Art, England, Gerry Judah, Goodwood, Goodwood Festival of Speed, Porsche, Porsche 911, Sculpture, Sports Car on July 18, 2013 by Author.